The top of a window has a(n) ____, which is a horizontal space that contains the window’s name. On ____, the electronic components and most storage devices are part of the system unit and other devices, such as the keyboard, mouse, and monitor, normally occupy space outside the system unit. Two of the more commonly used ____ are Microsoft Office and Sun StarOffice. To start up, a computer locates ____. Each of the following is a popular type of mobile device except _____. As shown in Figure 6-2, a ____ is a large, sealed glass tube on the front of which is a screen coated with phosphor material. The circuitry of the system unit usually is part of or is connected to a circuit board called the _____. A ____ is equal to approximately 1 million bytes. 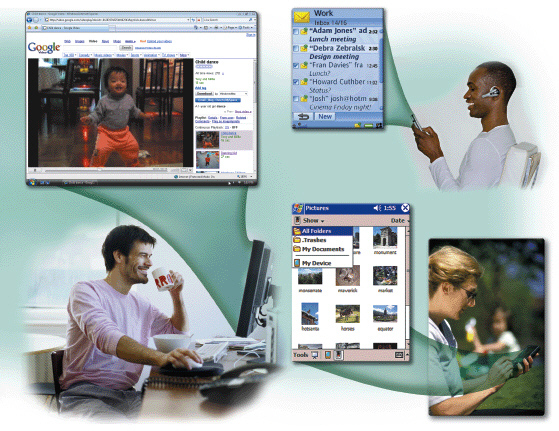 A _____ is the most widely used pointing device on desktop computers. Flash memory cards are a type of ____ media, which means they consist entirely of electronics and contain no moving parts. Each of the following is a commonly used output device except _____. The ____ is a worldwide collection of networks that connects millions of businesses, government agencies, educational institutions, and individuals. ____ software consists of the programs that control or maintain the operations of the computer and its devices. 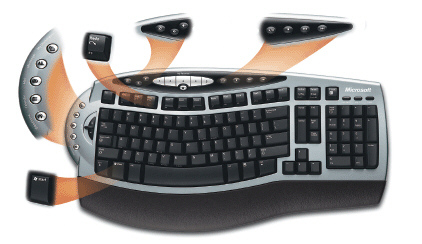 All of the following are widely used input devices except the _____. The ____ unit is a case that contains electronic components of the computer that are used to process data. When computer users ____ a document, the computer transfers the document from memory to a storage medium. A ____ is a special window that provides information, presents available options, or requests a response. Generally, the mouse is used to move the pointer on the screen to an object such as a button, and then users _____ to perform a certain action on that object. ____ is a category of output that includes drawings, clip art, and photographs. A(n) ____ scanner works in a manner similar to a copy machine except it creates a file of the document in memory instead of a paper copy. A single point is about ____ of an inch in height. The ____ system is a number system that has just two unique digits, 0 and 1, called bits. Current personal computer hard disks like the one shown in Figure 7-1 have storage capacities from 80 to 750 ____ and more. Storage like the CD in Figure 1-3 holds _____ for future use. One of the first storage media used with mainframe computers was ____. A feature of word processing software called ____ allows users to type words in a paragraph continually without pressing the ENTER key at the end of each line. ____ is a category of output that includes memos, letters, announcements, press releases, and reports. A(n) ____ is an instruction that causes a program to perform a specific action. ____ is the most common type of volatile memory. When computer users ____ a document, the computer sends a copy of the document to a medium such as paper. One gigahertz (GHz) equals one ____ ticks of the system clock per second. An optical mouse is _____. A(n) ____ contains a list of commands from which a user makes selections. _____, such as those shown on the keyboard in Figure 5-1, are special keys programmed to issue commands to a computer. Factors that influence a consumer’s purchasing decision for handhelds like those in Figure 1-4 include _____. The most popular type of mobile computer is the _____ like the one shown in Figure 1-4. A(n) ____ processor is a chip with two or more separate processors. ____ printers are ideal for printing multipart forms because they easily print through many layers of paper. The _____ is a small handheld input device that controls the movement of a small symbol on the screen called the pointer. Application software is used to ____. ____ software is software that allows users to organize data in rows and columns and perform calculations on the data. The ____ is the electronic component that interprets and carries out the basic instructions that operate the computer. Commonly used output devices include all of the following, except ____. A _____ is an input device that converts printed material to a form the computer can use. A(n) ____ mouse is a battery-powered mouse that transmits data using wireless technology, such as radio waves or infrared light waves. _____ are capable of processing more than 100 trillion instructions in a single second. The ____ is a symbol on the screen, usually a blinking vertical bar, that indicates where the next character typed will display. Two types of display devices are ____ displays. Common types of flash memory cards include ____. 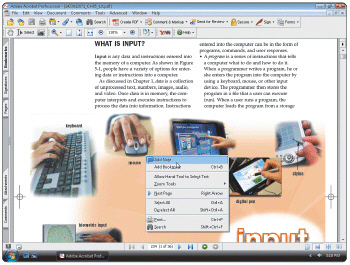 When computer users ____ a document, they enter text or numbers, insert graphical images, and perform other tasks using an input device. A widely used communication device is a _____. A(n) ____ is the basic storage unit in memory. 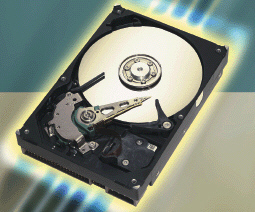 The storage capacity of a DVD-ROM is ____ that of a CD because images are stored at higher resolutions. A _____ is the smallest element in an electronic image. ____ software consists of programs designed to make users more productive and/or assist them with personal tasks, and include Web browser, word processing software, and spreadsheet software. ____ memory does not lose its contents when power is removed from the computer. A nanosecond (abbreviated ns) is one ____ of a second. To ____ a document means to make changes to its existing content. Most personal computers have a small internal ____ that usually outputs only low-quality sound. A(n) ____ printer forms characters and graphics on a piece of paper without actually striking the paper. When 8 bits are grouped together as a unit, they form a(n) ____. 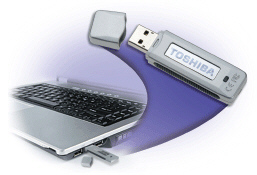 If the computer has an internal hard disk (drive C) and a DVD drive (drive D) and no other disk drives, what drive will the USB flash drive like the one shown in Figure 7-5 probably be? ____ is a category of output that includes music, narrations, and speeches. A(n) _____, such as those shown in Figure 1-1, is a miniature image that represents a program, an instruction, or some other object. Software today has a _____, like that shown in Figure 1-1. A(n) ____ is a light-sensing input device that reads printed text and graphics and then translates the results into a form the computer can process. 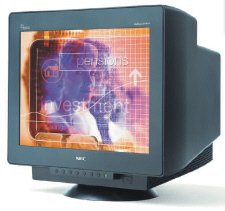 A monitor’s ____ size is the diagonal measurement of the actual viewing area provided by the screen in the CRT monitor. A printer, such as that shown in Figure 6-3, creates images using a laser beam and powdered ink, called ____. A(n) ____, such as that shown in Figure 6-3, is a high-speed, high-quality nonimpact printer. A reasonable quality ink-jet printer costs approximately ____. A printout in ____ presents its information printed across the shorter width of the paper. People around the world use the Internet to _____. A(n) ____ is an identification code that consists of a set of vertical lines and spaces of different widths. One type of system software is a(n) ____ system, which is a set of programs that coordinates all the activities among computer hardware devices. ____ is any data and instructions entered into the memory of a computer. ____ is a category of output that includes prerecorded news reports, movies, and performances. As shown in Figure 3-3, a(n) ____ is a small image displayed on the screen that represents a program, a document, or some other object. The ____ shown in Figure 3-3 is a small symbol displayed on the screen that moves as a user moves the mouse. 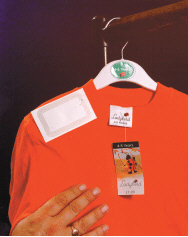 As shown in Figure 5-4, ____ is a technology that uses radio signals to communicate with a tag placed in or attached to an object, an animal, or a person. A ____ is equal to exactly 1,024 bytes, but computer users often round it down to 1,000 bytes to simplify memory and storage definitions. A hard disk provides much _____. A computer contains many electric, electronic, and mechanical components known as ____. A monitor is measured in the same way as a television is measured, that is ____. To cut involves removing a portion of a document and storing it in a temporary storage location, sometimes called a ____. ____ is the process of moving different portions of a document on the screen into view. A(n) ____ is a rectangular area of the screen that displays data and information. With _____ software, a mobile user can create and deliver a presentation to a large audience by connecting a mobile computer or device to a video projector that displays the presentation on a full screen. A _____ is a portable storage device that has much greater storage capabilities than a floppy disk, but is small and lightweight enough to be transported on a keychain or in a pocket. Examples of nonvolatile storage media include all of the following except ____. The greater the number of transistors in a processor chip, the ____ the chip. Two categories of software are _____. A(n) _____ uses devices that emit and sense light to detect the mouse’s movement. A printout in ____ orientation presents its information printed across the widest part of the paper. ____ consists of electronic components that store instructions waiting to be executed and data needed by those instructions. A(n) ____ is a collection of computers and devices connected together as shown in Figure 1-2 via communications devices and transmission media. A(n) ____ device is any hardware component that allows users to enter data or instructions (programs, commands, and user responses) into a computer. Some computer and chip manufacturers use the term ____ to refer to a personal computer processor chip. Each time a user starts a computer, the operating system is ____ (copied) from the computer’s hard disk into memory. A computer’s _____ determine(s) the category it best fits. As computers become more a part of everyday life, many people believe that _____ is/are vital to success. _____ is/are the steps that tell the computer how to perform a particular task. A computing phrase — known as _____ — points out that the accuracy of a computer’s output depends on the accuracy of the input. A Web site is _____. You interact with a program through its _____, which controls how you enter data and instructions and how information is displayed on the screen. A widely used type of application software related to communications is _____, which allows users with an Internet connection to access Web pages. Two types of _____ are desktop computers and notebook computers. In many models of personal computers, the system unit is the tall and narrow _____, which can sit on the floor vertically — if desktop space is limited. _____ comprise an information system. ____ is a collection of unprocessed items, which can include text, numbers, images, audio, and video. Some people refer to the series of input, process, output, and storage activities as the ____ processing cycle. One type of system software is a(n) ____ program, which allows a user to perform maintenance-type tasks usually related to managing a computer. Once users have installed software, they can use, or ____, it. Once in memory, the computer can carry out, or ____, the instructions in a program. A(n) ____ is someone who develops software or writes the instructions that direct the computer to process data into information. ____ is mass-produced, copyrighted retail software that meets the needs of a variety of users, not just a single user or company. ____ performs functions specific to a business or industry. ____ is copyrighted software that is distributed at no cost for a trial period. ____ is copyrighted software provided at no cost to a user by an individual or a company. ____ is free software, but it has been donated for public use and has no copyright restrictions. ____ includes programs such as word processing, spreadsheet, database, presentation graphics, personal information manager software, PDA business software, software suites, accounting, and project management. When computer users ____ a document, they change its appearance. A(n) ____ protects a computer by identifying and removing any viruses found in memory, on media, or in files. ____ software serves as the interface between the user, the application software, and the computer’s hardware. A(n) ____ is a window that provides information, presents available options, or requests a response. A font ____, such as bold, italic, and underline in Figure 3-2, adds emphasis to a font. 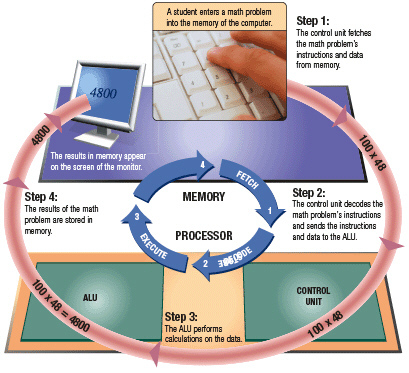 In the machine cycle steps illustrated in Figure 4-1, ____ is the process of obtaining a program instruction or data item from memory. 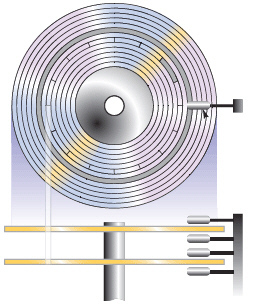 In the machine cycle steps illustrated in Figure 4-1, the term ____ refers to the process of translating instructions into signals the computer can execute. Each tick of the system clock equates to a ____. ____ is the most widely used coding scheme used to represent data. ____ is used primarily on mainframe computers and high-end servers. ____ is a coding scheme capable of representing almost all of the world’s current written languages, as well as classic and historical languages. A ____ equals approximately 1 billion bytes. Current processors include advanced transfer cache, a type of ____ built directly on a processor chip. ____ is a cache separate from the processor chip on the motherboard. The USB (universal serial bus) and FireWire bus are ____. The ____ board is the main circuit board of the system unit. A computer ____ is a small piece of semi-conducting material, usually silicon, on which integrated circuits are etched. A(n) ____ circuit, which is etched on a computer chip, contains many microscopic pathways capable of carrying electrical current. A(n) ____, which is contained on an integrated circuit, can act as an electronic switch that opens or closes the circuit for electrical charges. Together, four operations (fetching, decoding, executing, and storing) comprise a(n) ____ cycle. Some computer professionals measure a processor’s speed according to the number of ____ it can process. A(n) ____ digit is the smallest unit of data the computer can process. Each byte resides temporarily in a location in memory, called a(n) ____. A user response is _____. To fit in notebook and many handheld computers, the keyboards usually are _____. 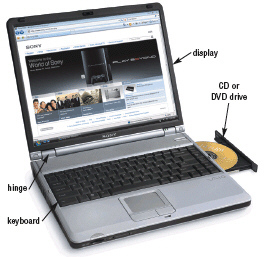 In contrast to most desktop computers, a typical notebook computer usually has about _____ keys. Touchpads are found most often on _____. _____ is one method of input for smart phones. A(n) _____ is similar to an electronic filing cabinet that provides access to exact reproductions of the original documents. Retail and grocery stores use the _____ bar code. In a grocery store, a(n) _____ is a combination of an electronic cash register, bar code reader, and printer. An ATM (automated teller machine) asks users to enter a password, called a _____, which verifies that the user is the holder of the bankcard. The most widely used biometric device today is a(n) _____. All of the following usually use portrait orientation except ____. Until a few years ago, printing a document required connecting a computer to a printer with a cable via the ____ port on the computer. Some ____ printers spray ink, while others use heat or pressure to create images. Commonly used nonimpact printers include all of the following except ____. Printer resolution is measured by the number of ____ a printer can print. The speed of an ink-jet printer is measured by the number of ____ it can print. Many photo printers use ____ technology. 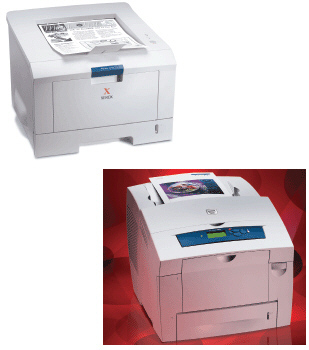 Two commonly used types of impact printers are ____. With ____ printing, a computer or other device transmits output to printer via radio waves. Identify the letter of the choice that best matches the phrase or definition.